FOR IMMEDIATE RELEASE – January 17, 2015, Los Angeles, CA: Writing a screenplay can often be both a tortuous and uplifting process, but the reward for some comes in industry acceptance with the bestowal of an Oscar for best original screenplay. The perfect combination of words, action sequences, characters and acting can lead to industry and box office approval. As part of the excitement leading up to this year’s Academy Awards Ceremony, author and screenwriter Eric Edson will speak at the Annual Writers Store Pre-Oscar Panel with other Michael Wiese Productions authors. The free event will take place the day before the Oscars, on Saturday, February 21, from 4-6 p.m. at The Writers Store, 3510 W. Magnolia Blvd. in Burbank, CA. 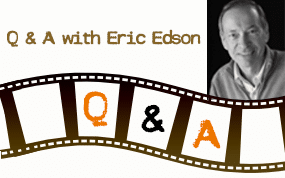 Edson will draw from his experience as a screenplay writer to discuss the story, writing, and directing of this year’s Oscar-nominated films. The panel will be moderated by Matt Lohr, author of Dan O’Bannon’s Guide to Screenplay Structure. As author of The Story Solution: 23 Actions All Great Heroes Must Take, Edson will join fellow Michael Wiese Productions authors Rona Edwards (The Complete Filmmaker’s Guide to Film Festivals), Vicki Peterson (Notes to Screenwriters), and Paul Chitlik (Rewrite, 2nd Edition) in a spirited discussion of scriptwriting, storytelling, and character development. Professor Edson is the Coordinator of the Master of Fine Arts in Screenwriting Program for the Department of Cinema and Television Arts at California State University, Northridge. 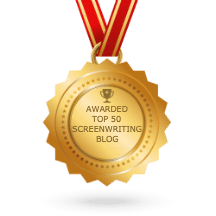 His experience writing screenplays includes seventeen feature screenplays for companies such as Disney, Lifetime, Sony, Warner Brothers, ABC Motion Pictures, 20th Fox, Showtime, NBC, and TNT. Edson also lectures through the UCLA Extension Writers’ Program, and was a featured speaker at Story Expo 2014. The Story Solution is one of the best books on screenwriting to consider for a research library for writers seeking advice on writing a screenplay or searching for screenwriting resources. About The Story Solution: Eric Edson’s The Story Solution is a straightforward handbook for those who are interested in the art of writing a movie script. Edson includes and explains the 23 actions used in writing screenplaysto create dynamic, three dimensional heroes. Visit the website at https://www.thestorysolution.com/ to download a sample chapter of the book for aspiring screenplay writers. “Like” the Facebook page to receive insider insights and screenwriting tips. Call 818- 677-3192 for more information about screenplay writing.